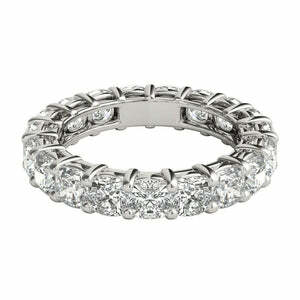 Be prepared to be amazed with this engagement ring's design, craftsmanship, and presence. 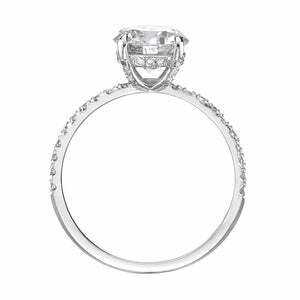 The main feature of this 18k white gold ring is the 2.01ct cushion cut diamond, certified at F color and VS2 clarity enhanced. Colorless and Eye clean! 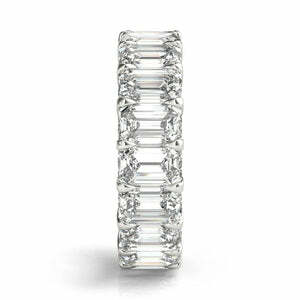 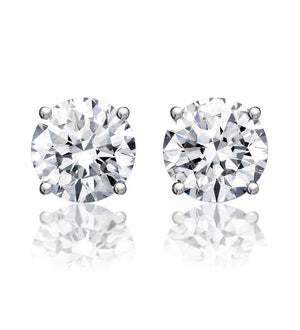 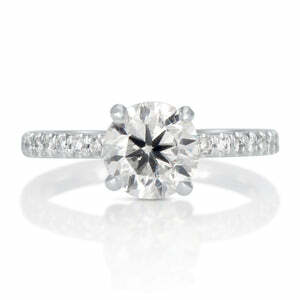 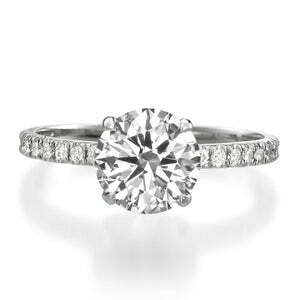 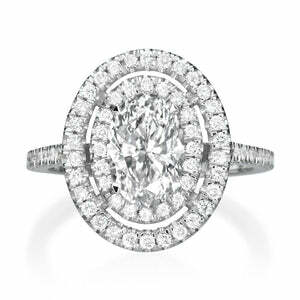 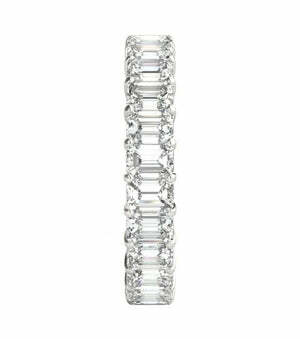 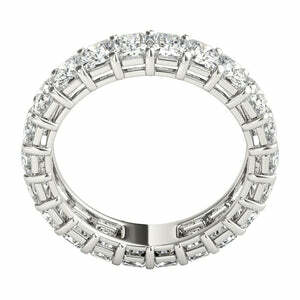 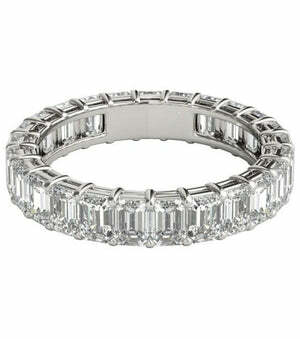 It sits in a pillowy micro pavé halo atop a dainty, rounded shank. 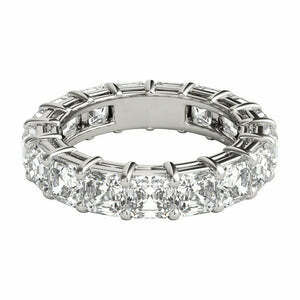 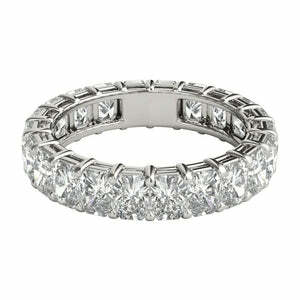 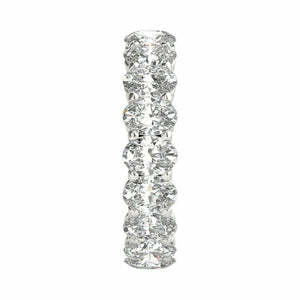 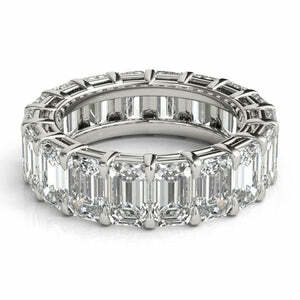 The finely handcrafted setting also has diamonds set on the basket for a peekaboo sparkle from the side view. 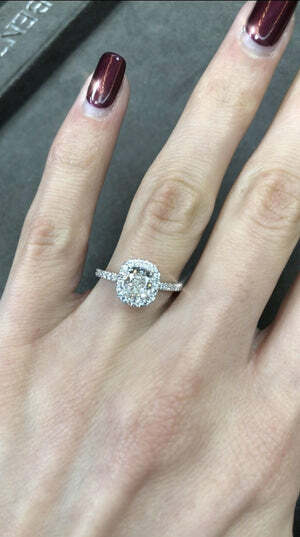 The cushion shaped diamond engagement ring comes together perfectly for a stunning appearance on the hand.